As the Welsh football team head to Euro 2016 as big stage virgins, Swansea’s Enzo Maccarinelli (40-7, 33KO) has been there and done it before. 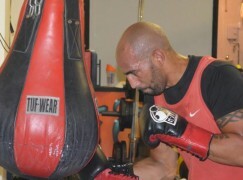 Swansea’s former WBO world champion will fight almost simultaneously alongside the opening ceremony in France but the last time he fought for the European title, he was the victim of the most violent of knockouts. Calls for retirement, both from those who admired the brave boxer and some who cruelly mocked him, in the aftermath were defied. 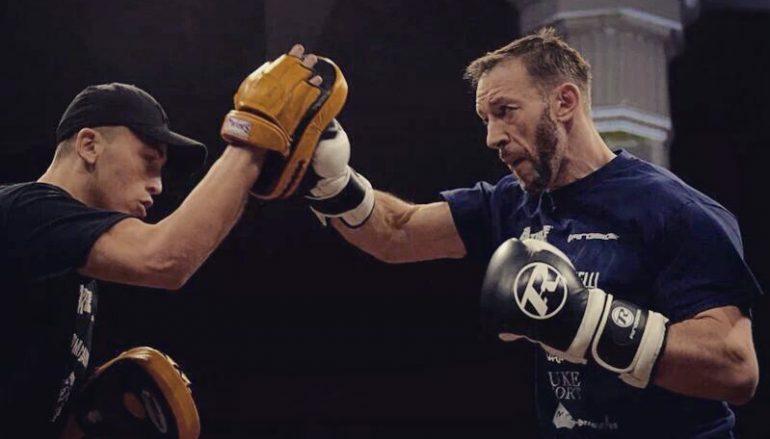 Six years on, Maccarinelli has come full circle back to the European title and if he hasn’t already, has a chance to justify his choice to continue once and for all with a minor upset later today. Coincidentally, it was Germany’s unpredictable come-from-behind cruiserweight Alexander Frenkel who never boxed again despite scoring a sickening seventh round win that will feature on highlight reels for a long time. 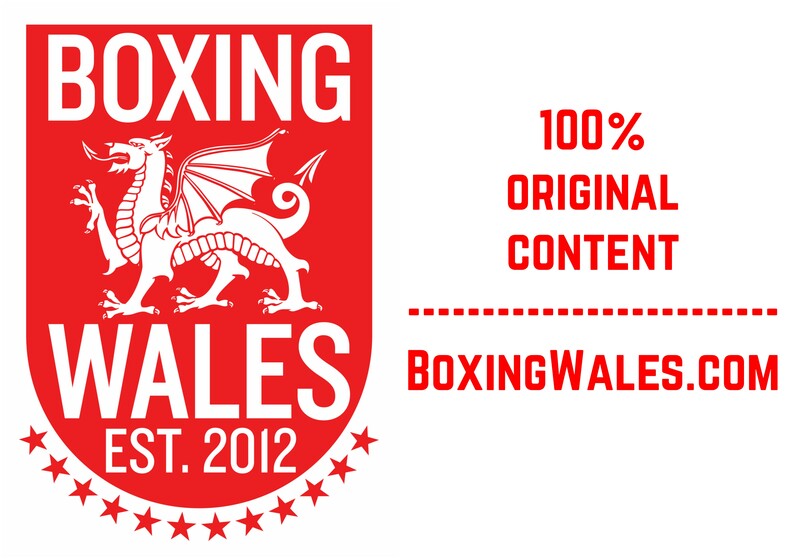 Instead, it was Enzo who carried on punching to write more chapters and fill the pages in one of Welsh boxing’s most exciting storybooks. Three weeks ago, 30 minutes after Maccarinelli agreed to be a ringside pundit on BoxNation (Sky Ch. 437), he took another call to accept a slot in the headliner of tonight’s Frank Warren’s show. He replaced Derby’s Ovill McKenzie who was due to make a rescheduled challenge for the vacant blue belt, only to be ruled out with the same unspecified injury. Although 35-years-old and working with a quarter of the notice championship fighters often expect, ‘Big Mac’ is a gym fanatic and should be fit for the full shift. The father-of-five crams in numerous daily training sessions around his role leading the next generation at Bonymaen Boxing Club, where he took the reigns following the death of his father Mario in 2012. 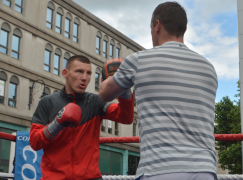 He will fight at the famous York Hall, a cramped East London venue that’s full of character. It has been a happy hunting ground for Maccarinelli, who has scored three of his 33 knockouts there. However, today’s task will present a much more stubborn resistance than James Gilbert, Dave Clark and Gyorgy Marosi did in years gone by. That task will be the once-beaten Dymtro Kucher (23-1-1, 17KO), a shorter cruiserweight whose lack of height compliments his uncompromising approach. Despite drawing with Belgium’s Bilal Laggoune in his last outing and seeming to find his level, Kucher still presents the most physical challenge Maccarinelli has faced since Frenkel. When Maccarinelli has been hurt in the past, disaster has often struck when he stood in mid-range and been guilty of staying in the firing line for too long, looking to unload with his own arsenal. Disregarding the stoppage losses during the light-heavyweight experiment to Juergen Braehmer, which occurred due to a freak eye injury, and the disgracefully premature ending against McKenzie, which was legitimately avenged in 2013, it’s worth noting that Maccarinelli hasn’t been knocked unconscious since 2010. Aside from very shaky start against the Shane McPhilbin in 2012, the form guide shows that the effects of shattering losses to world-class operators like David Haye, Ola Afolabi and Dennis Lebedev are long gone and may have arguably ended with Frenkel. Recent wins against unambitious imports Gyorgy Novak and Jiri Svacina didn’t tell us much about today’s Maccarinelli, neither did his fourth round thumping of faded legend Roy Jones Jnr in December but Kucher can’t be placed alongside the aforementioned contenders – not yet, anyway. Maccarinelli is convincing when he explains why he’s learned his lesson after five especially nasty knockouts, admitting to mistakes in the past and appearing to be aware of his limitations. That awareness allows Maccarinelli to make the most of what he can do effectively. The Welshman’s best wins have often been when he’s fought at distance, giving himself space to step in with power shots from range and that leverage enables him to hit hard enough to dent most cruiserweights. It will be a tall order and a serious achievement if Maccarinelli can hurt Kucher or even stop him. The Ukrainian can take strong shots and extended African banger Ilungu Makabu, who recently lost to Tony Bellew in a vacant WBC world title fight, the whole hog in 2013 – something nobody else has managed to do. Although able to boast supreme toughness, Kucher’s own power doesn’t match it. A more likely pattern will see the visitor pressing the action, not hitting hard but throwing often enough to keep Maccarinelli active. Kucher’s style is to wear down opponents but fitness shouldn’t be an area Maccarinelli will be vulnerable in. One aspect of Maccarinelli’s game that’s underrated is his inside work and Kucher’s pressure is likely to bring it in to play. When close, Maccarinelli can whip in a sickening left hook to the body but first he’s likely to look to take advantage of Kucher’s aggression with right uppercuts upstairs. Combined with the tactics of the methodical Gary Lockett, who has worked with his former stablemate for three and a half years, Maccarinelli’s likely to land the more telling shots. On the other hand, Kucher will throw more and even if he’s missing the target or hitting the guard, he’ll keep trying to throw. One thing to be aware of is the EBU’s history of appointing clumsy referees but a points decision will probably be what’s needed to separate the pair and home advantage could be key. Given some of the recent judging performances on domestic shores, it wouldn’t be a surprise to see the scorecards all over the place but at 5/1, Maccarinelli to make history after 12 competitive sessions may be the most valuable bet. First thing first but if Maccarinelli overcomes Kucher to re-win the European title and inherit a ninth place ranking with the WBC, he could turn attention to a second world title.